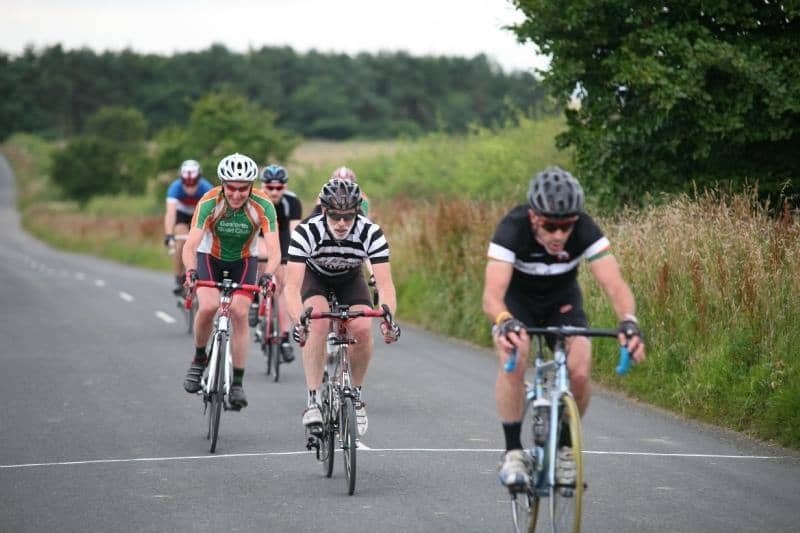 The race was held on the 5th August and 18 club members signed on for the event. The riders were split into two groups according to ability (and age) with the front group being given a 4 minute start on the second group. By the end of the 1st lap the gap was down to 2mins 30secs with both groups working well together. By the end of the 2nd lap the gap was down to 1 minute with the catch being made on the 3rd lap.The race then splintered the last time up Saltwick Hill and a front group of 5 contested the sprint with Zeb coming out as a worthy winner by 2 lengths.